Samsung Odyssey+: going beyond the nasty grid of the SDE, and into something nicer — apparently. N.B: This blog entry is in Matrise’s category “Lights”, which holds more technical, often smaller posts, that concern actual and recent events. These entries stand out from other entries at Matrise, which are often more conceptual, ideal and philosophical. You can read about Matrise here. 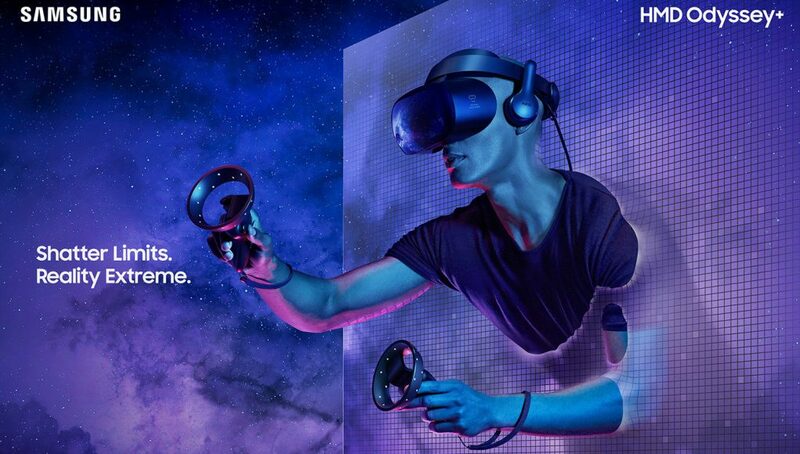 This week, Samsung gave notice on their new Windows Mixed Reality (WMR) Headset, the Samsung Odyssey+. Priced very reasonably at $500, like it’s predecessor the Samsung Odyssey, the Head-Mounted Display (HMD) is a very attractive option for those who value high resolution in HMDs (and who doesn’t — it is obviously a desirable trait to have a greater fidelity of the virtual world!) The market has also shown its hunger for high-resolution displays, which the Kickstarter for the Pimax 8K and 5K HMD’s have shown. 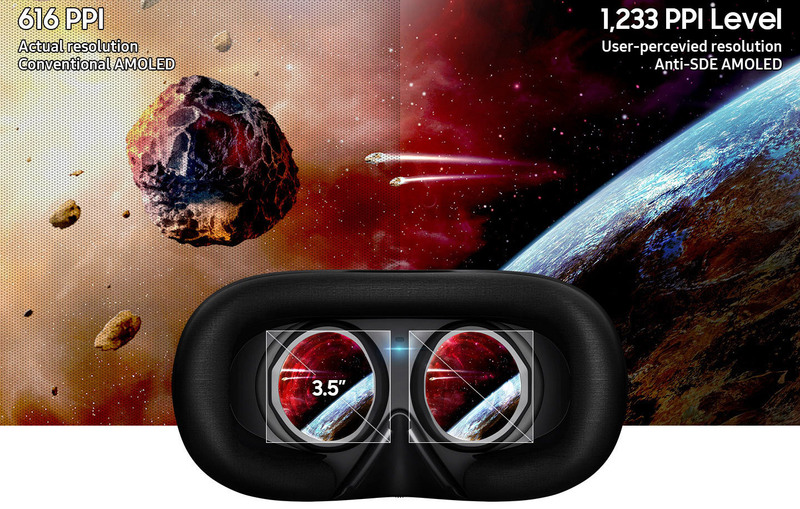 When on the topic of hi res displays, resolution strumpets should also check out StarVR, a high-res 210-degree Field of View HMD with integrated eye tracking to provide foveated rendering, which can be especially fruitful with that intense FOV. Digression aside — the Odyssey+ is now already for sale in the US, and in this entry we will discuss why it can be an alternative way to experience a higher resolution. The Odyssey+ features the same high resolution of 1400 * 1600 per eye as its predecessor. For reference, this is the same resolution as found in the HTC Vive Pro which cost far more (priced from $1098 — $1399 with two controllers and base stations). Unlike the Vive Pro, however, the Odyssey+ features inside-out tracking similar to what is used in other WMR HMD’s, and also the upcoming Oculus Quest. None of this is any news, however, as all of this could equally be said of the original Odyssey. The new feature they are releasing, which makes this a particularly HMD, is a technology they have called ‘Anti SDE’ — that is, a technology that seeks to eliminate the ‘Screen Door Effect‘ experienced in most HMD’s today. 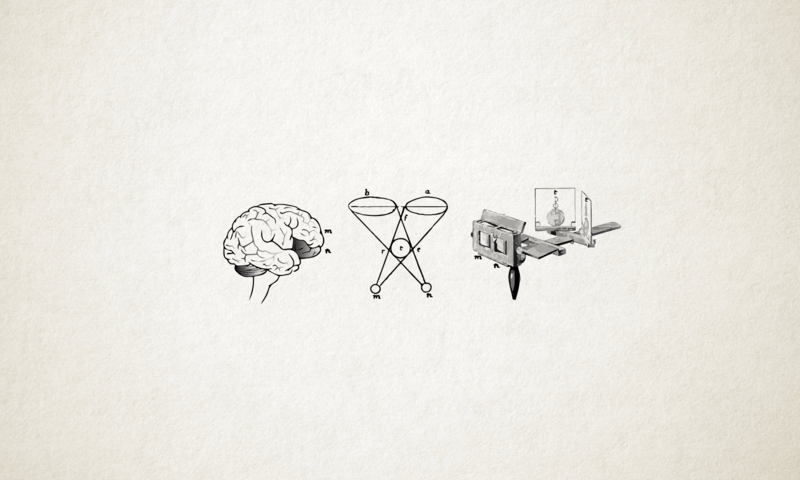 An illustration by Samsung that attempts to illustrate the difference between the Odyssey and the Odyssey+. RoadToVR report that they suspect this is the technology that Playstation VR has used in their own HMDs. The Playstation VR, with a resolution of only 1080p on the eyes combined, has surprisingly little SDE — which has made me prefer the display to the Vive regular or Oculus, albeit the tracking and computing power is vastly inferior. I’m therefore eager to see how this would work on a HMD with a lot more of the pixels. Technologies such as low pixel persistence modes, asynchronous timewarp and foveated rendering are all genius technologies that enables perceived higher refresh rates than what our computers are capable of, some of which are indispensable especially for mobile VR. Anti-SDE technology may be yet such another technology, that may make it not so necessary to have 16K displays or whatever for VR to be perceived as very close to real human sight. That being said, although Samsung claims that their new HMD have a perceived PPI (pixels per inch) of 1233, it will naturally not offer the same sharpness of clarity as an actual 1233 ppi display would. The extra 50% potential increase in “perceived ppi” is only replicating, or diffusing, the already-existing pixels. Still, the tech is very welcome, and HTC also has something to learn from the way Samsung prices their products. Customers may now find a whole lot more value for their money in Samsung, and this comes from someone who already owns a Vive Pro. For those considering doing the purchase, it should be noted that the tracking is not as good as in the HTC Vive (Pro), but depending on your needs it may be more than good enough.